Sit back, relax and hold on tight with a passenger ride experience. 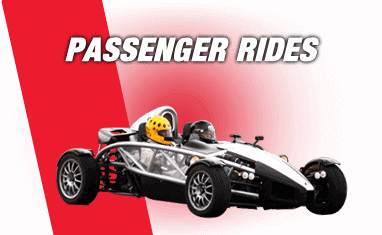 Perfect for those without a driving licence or for juniors too young to drive, a passenger ride will get your adrenaline pumping from the passenger seat are you're hurteled around a track by an expert instructor at high-s[eeds. Passenger ride experiences take place at a number of venues, see the full range below. Step into the passenger seat of one of our supercars and experience the true potential of one of these incredible machines. Enjoy the adrenaline-fueled speed and excitement that these cars were built to deliver. Perfect for non-license holders these incredible experiences allow you all the thrills of driving at speed, free in the knowledge that you are in the hands of an expert racing driver. We have a whole host of passenger experiences on offer at a range of locations across the country. You could satisfy your need for speed around a number of race tracks including Bovingdon Airfield, Castle Coombe and even the world-famous Brands Hatch. Not much can compare to a Ferrari 458 Italia at race speed on an open circuit. For something different why not take a look at our Drift passenger experiences? Don’t spend your time spinning in a circle, let our drifting pros take you out for some real sideways action. Expect to be looking out the side windows for most of this experience, sat in the passenger seat of a tyre squealing, rubber burning sideways monster. Why not take your passenger experience up a level and see if you can handle a Radical SR3 racing track car. With 300bhp on tap and weighing just 620kg, this track weapon will make you feel the incredible G-forces through the corners and ultimate speed on the straights. You could experience 3-4 laps of breath-taking excitement with this High-Speed Radical Ride. Or you could experience the speed and handling of all the latest super cars including the Nissan GTR, Porsche 911, Bentley Continental GT, Lamborghini Gallardo or even the Ariel Atom. These premium automobiles are craved by many and rarely seen on the open road. You could experience all they have to offer in the safety of an enclosed track with an expert driver behind the wheel. The broad range of passenger experiences makes it the perfect gift, or even just an exciting day out for yourself. 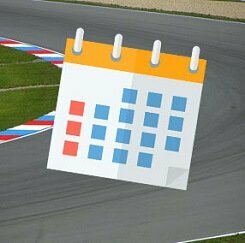 Book a Passenger Ride experience today with Trackdays.co.uk as a 10- month open gift voucher, or book directly on to an available date.